You are purchasing an electronic pattern which will be sent to your email address as a PDF. By purchasing this pattern you agree to use the pattern for personal use only, and agree not to distribute this pattern either electronically or in print form. At checkout you will be asked to furnish an email address to which the e pattern PDF will be sent after payment. Prairie Pop Art is a 24" x 29" pieced mini quilt, using A Prairie Journal fabrics designed by Martha Walker for Henry Glass Fabrics & Co. 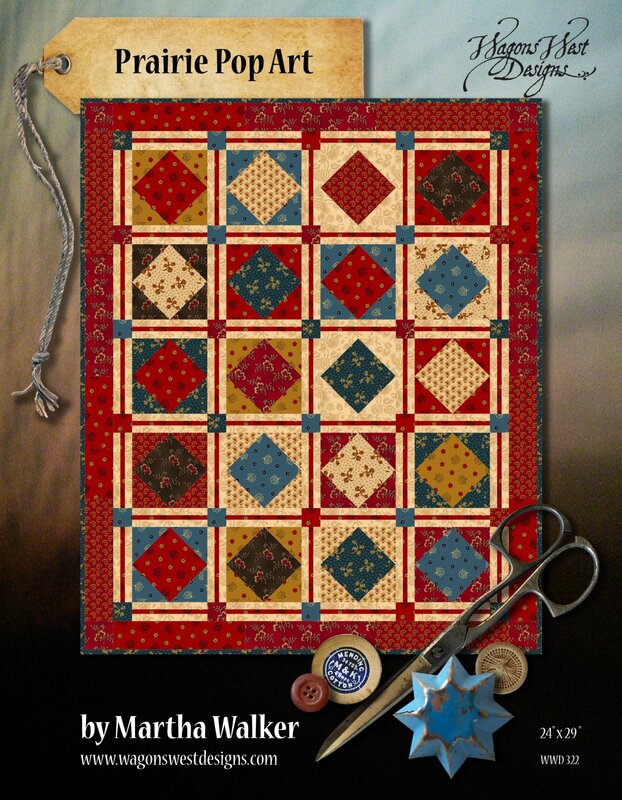 The Prairie Pop Art quilt pattern is a 5 page color pattern, plus cover and fabric collection sheet. Prairie Pop Art is currently sold as an e pattern only.